Hi friends. I am excited this post has the word Wednesday in it because it feels like the beginning of the week. Monday was a holiday and I was off work and I don't get on the computer on my days off (glorious!). So what's been going on in the Hart household lately? Last Friday night we saw Django and it was incredible. I saw my first Tarantino movie about a year ago (Inglorious Basterds) and knew this one would be nothing short of intensity and gore but I really wanted to see it. If you know me at all, you know I really dislike going to the movie theater...I don't like sitting still or being quiet and would much rather see a movie in the comfort of my own home so it has got to be a good one for me to go. And we always go to the Alamo Drafthouse because you can eat while you watch. So back to the movie... it was a beautiful, heart breaking, and redeeming story. I looked away about 40% of the time because Mr. Tarantino tends to exaggerate. If you haven't seen it, you need to. And we are also obsessed with Chrisoph Waltz now... he was finally a good guy! 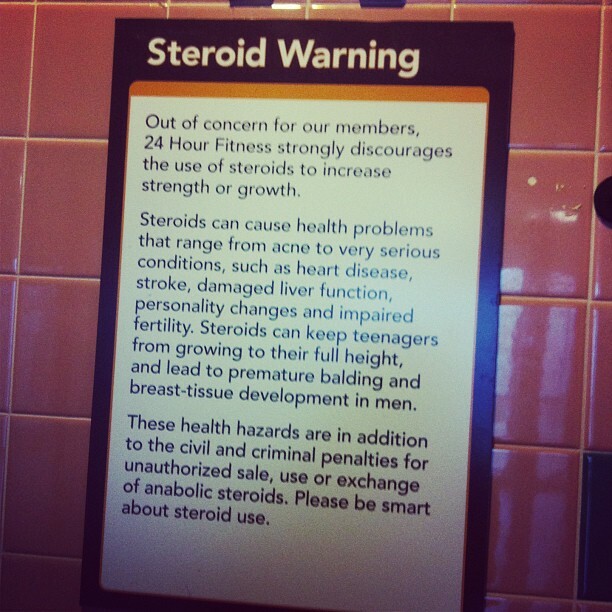 I work out at 24 Hour Fitness here in Austin and most of the locations are sponsored by Lance Armstrong. 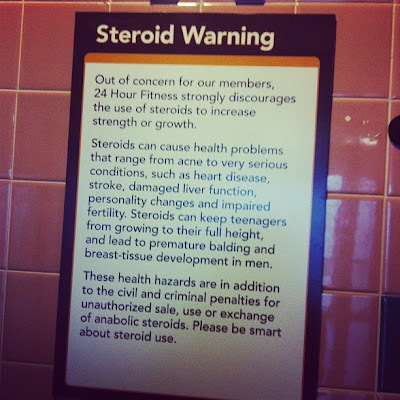 Well... over Christmas, each of them shut down for a week and stripped the walls of everything Lance and now these signs litter the locker rooms and weight rooms haha. I'm sorry I have had enough of him. I watched 2 minutes of his Oprah interview and deleted it. What a rotten role model for people all over the world. Not that this and doping are related but he has always been an open atheist and I have never really been a fan of his. You know that old saying, you reap what you sow? 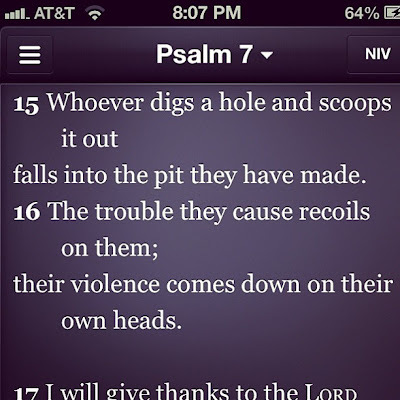 Well folks, it is written plain and simple in the book of Psalms. I love uncovering common truths written in the bible. 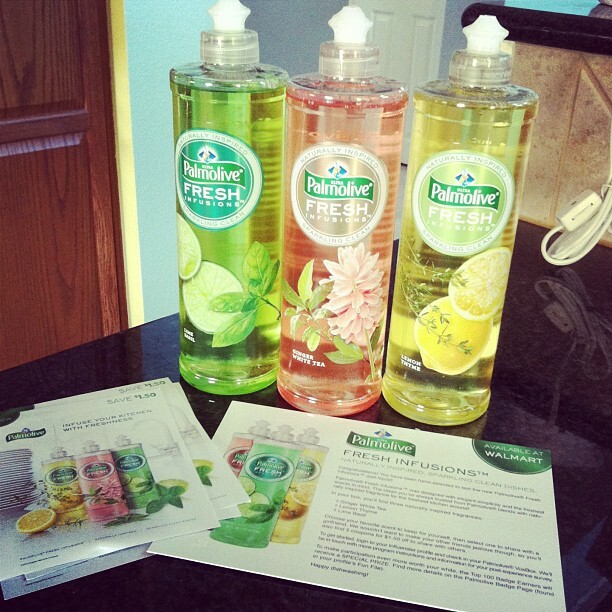 I am excited to be a part of Influenster's VoxBox program and loving the new Palmolive Fresh Infusions dish soap they sent me. Who doesn't love free stuff AND coupons?! I hate wine. Sorry to offend you wine-os but I despise the taste and can really only stomach a super sweet Moscato. 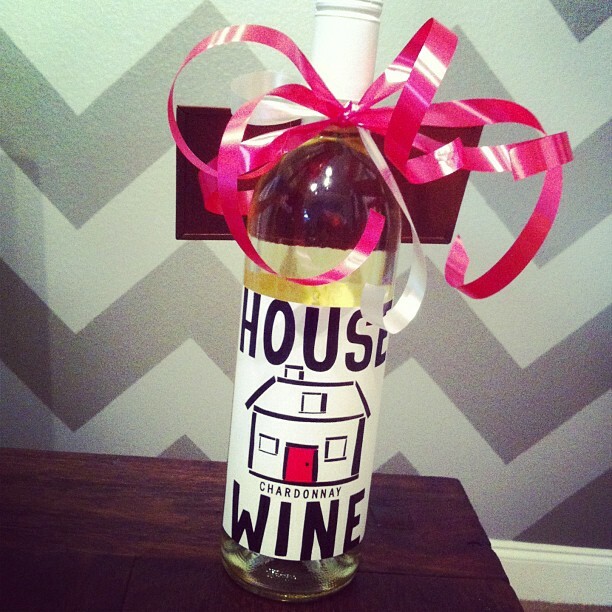 But that doesn't stop me from buying cute labeled wine. This was for a house warming party on Saturday. Sunday night felt like Saturday night since I was off on Monday...score! 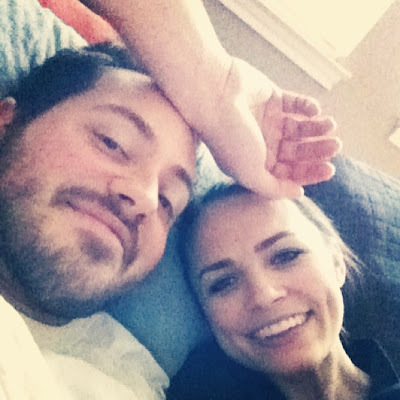 Jon had some meetings out of town Monday so I did my own thing and had the perfect mix of a productive/relaxing day. This pic is on our pallet upstairs we make out of couch cushions and tons of blankets, perfect for finally watching some Breaking Bad (we are halfway through season 3). 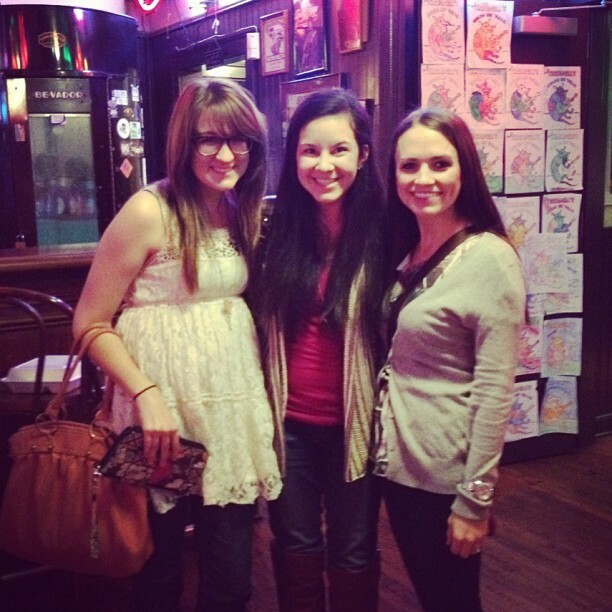 Monday night I met up with Chelsea and Annie, who was visiting from Michigan! We ate and chatted for 3 hours and could have easily stayed another 3. 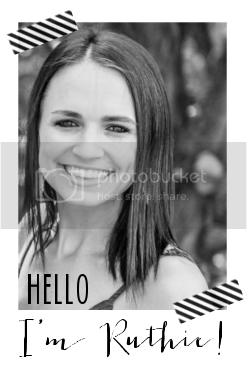 I love when blog friends turn into your real friends. If you saw our episode of House Hunters you probably thought I was crazy for wanting matching fixtures but I must ask you... who doesn't?! 9 months later we are finally changing out our nasty gold door handles with something made in the 21st century. Money well spent! 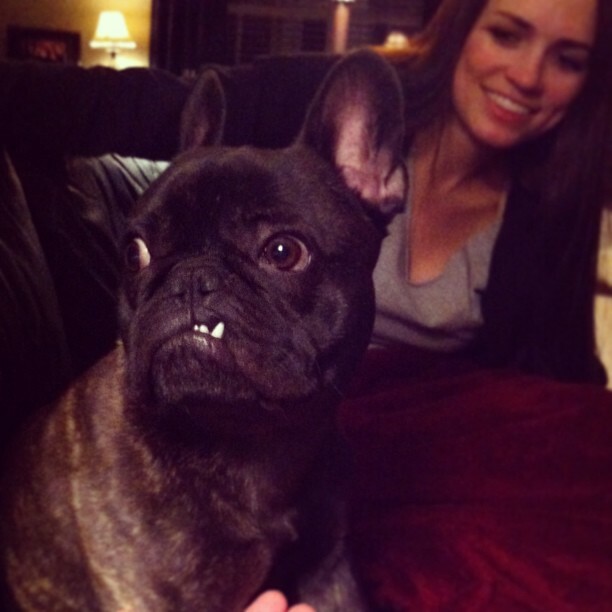 And my dad took this of Ernie last night... we haven't gotten a good snaggle pic in a while. He is a nut. Tonight is my 2nd to last week with my small group and we will be finishing up Beth Moore's Esther. What a great couple months it has been sharing community and the word with new and old friends. What's been random in your life? my husband is also obssessed with those Sanuk slip-ons! And I am with you on the wine, I wish I liked it but it has never been my thing. I've heard great things about the Esther study. I've been doing She Reads Truth, but they're redoing Soul Detox, which was done last year, so, I am currently just trucking through my The Resolution book, instead. A new devo/study would be good! Maybe I'll check it out. I watched the Lance interview because I really wanted to try and see how he felt about the whole situation. I do feel he is only sorry that he got caught. I did feel really sad for him when he said he heard his son defending him and he knew he had to do something about that. So he told his son not to defend him because it's all true. That's when I felt Lance was most real throughout the interview. That snaggle tooth is about the cutest thing ever. And I'm totally on the same page about calves. 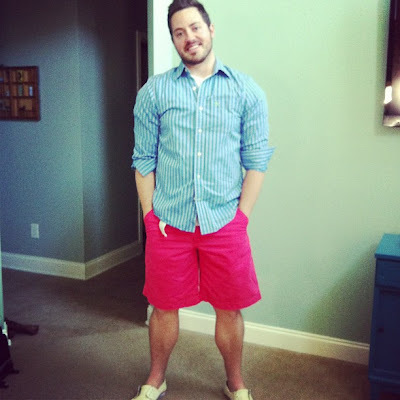 Haha I need to get Mike those shorts! I have heard so many good things about Django! I really need to go see it. Question - I'm on Influenster, but how do you get signed up for the VoxBox?? I feel sorry for his children. I would love to know how you raise children living a lie just to be a hero. Hero's in my book tell the truth from the beginning not in the end. Sometimes, there's something beautiful about having the day to spend by yourself, when your husband has to work. I enjoy it every now and then (it's when I watch kids movies)! haha I saw your episode on HH and I have to agree with you on matching fixtures! I re-did our fixtures when we bought our house a year ago.. it just looks better :). & the whole Lance Armstrong is so unfortunate! I loved his livestrong campaign and wouldn't take his bracelet off! Very sad.. but I do have to agree- you do "reap what you sow"! OMGosh, Ruthie, you are so funny about your door handles. My husband did the same thing in our house! 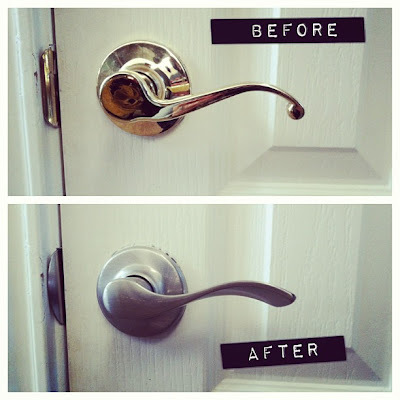 Our door knobs were pretty much like your old ones and we switched them (and the hinges, too!) for rubbed bronze. Much better! 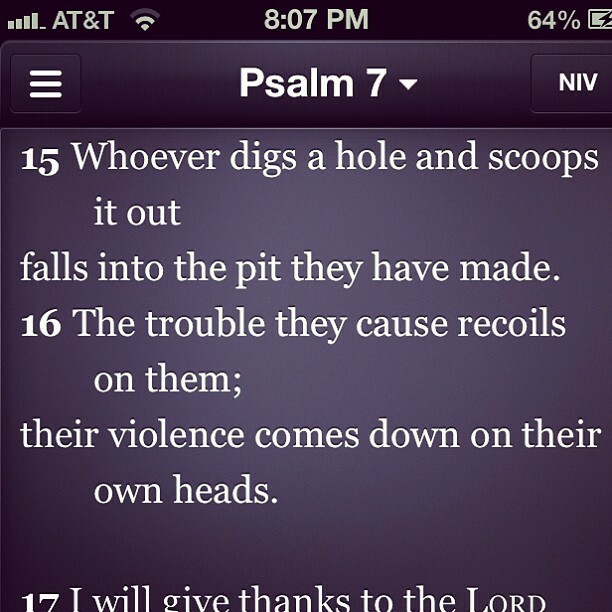 And I love that you posted Psalm 7:15-16 about Armstrong. Perfect. We saw Django a few weeks ago. Loved it! Loved Inglorious Basterds and if you haven't seen the Kill Bill movies they are also classic Tarantino and you would love them too (Uma Thurman is in them). Congrats on your new door knobs! Incidentally I did see your house hunters episode so I know those were high up on your to do list for the house. Yep, Lance is pretty much scum, but one good thing he has done is created an amazing foundation...that is now somewhat tarnished. Ross and I so need to do that with all our fixtures. How long did it take??? And as soon as Django come out on On Demand, we are seeing it. I never like going to the movies either? So, how did things go today? Been thinking about you!!! Absolutely loved Django Unchained, but I'm the same way with violence- had to look away for most of the movie. I was also so glad that Chrisoph Waltz got to be a good guy. He was my favorite character! Funny thing, but when I saw the picture of you and your two friends on Instagram, the very first thing I thought was, "Hmmm... wonder if she's pregnant?" Not that you look fat or anything like that... you just looked different, and I had a feeling.